Sandwalk: What Does James Shapiro Think? What Does James Shapiro Think? What is wrong with "dancing in the DMZ" between intelligent design (as articulated by Michael Behe and others) and neo-Darwinism? Are these two positions the only alternatives? I doubt it. That is why my 1997 article in Boston Review on evolution debates was called "A Third Way." What Dembski calls the "DMZ" (i.e. a zone free of futile conflict) is the place where the real evolutionary science is taking place. I am proud to be there, and I see that an increasing number of people are joining me when they realize that natural genetic engineering, horizontal DNA transfer, interspecific hybridization, genome doubling and symbiogenesis provide solutions to problems recognized to be intractable under the limitations of conventional evolutionary thinking. Now Susan Mazur has gotten into the game of trying to figure out James Shapiro. You may recall that Susan Mazur has made a minor career out of touting the upcoming revolution in evolutionary theory. Here are some excerpts from her interview with James Shapiro on a website called Counterpunch: The Evolution Paradigm Shift. Suzan Mazur:... Are Coyne and his pal Richard Dawkins, by not publicly recognizing that a sea change has occurred, milking lucrative performances and book deals? And if so, isn’t this a disservice to science? James Shapiro: Well that’s a loaded question. I’ve gone on record in my blog as saying that I thought that Dawkins and his ill-conceived atheist crusade hurts science education and hurts evolutionary science. I’ve criticized Jerry Coyne for making statements that he can’t support. Both Coyne and Dawkins have been characterized as having a neo-atheist agenda in attacking religion. And it is true that many of the comments on my blog reflect a deep reservoir of anti-religious sentiment. I’ve noted in the blog that we should get out of the business of attacking supernaturalists. It’s not in science’s interest to make a war with religion or religious belief. Suzan Mazur: And get on to the science. James Shapiro: And get on with the science. And also to have a little bit of humility. Science never provides ultimate answers. This appears to be a typical accommodationist position, assuming that Shapiro is an atheist. I just wish he'd be a little more up front about his stance. 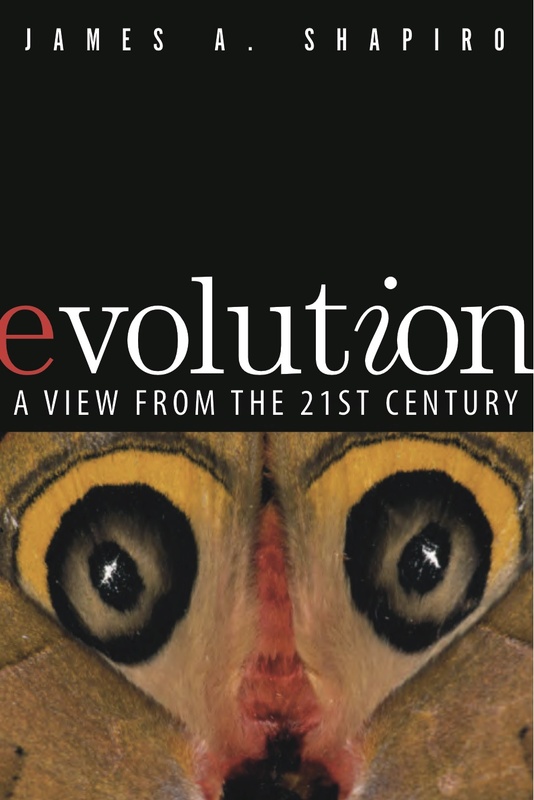 James Shapiro: ...The moth cover was ultimately chosen because the kind of exquisite mimicry it represents is an evolutionary puzzle. How does that come about? I think gradualist explanations are difficult to sustain in the case of mimicry. Recently it’s been discovered that there are master control regions, sort of like Hox complexes but more complicated, that control wing patterns in butterflies. I suspect as people analyze those we’ll know more about how the mimetic patterns evolved. The book hasn’t been reviewed by any of the major journals yet. Nature and Science have not reviewed it. The National Center for Science Education is reviewing it in June. I’m interested to see whether they want to show that evolution science is alive and doing novel and controversial things. As I said in my blog, science is not doing very well in this evolution vs. religion dispute. I think part of the reason why we’re doing poorly is that the most recent and exciting science is not being presented to the public. Clearly, the issues are not being presented in a way that shows evolution science isn’t stuck in ideas from the last century and the last century before that. I wrote the review that will soon appear on the NCSE site. I can assure him that I'm well aware of many exciting developments in evolutionary theory. The ones that are important (population genetics, random genetic drift, Neutral Theory, punctuated equilibria, speciation) are ones that Shapiro doesn't understand or mention in his book. (Gould isn't even in the index!) The ones that are trivial and were dismissed as minor embellishments decades ago are the ones that, in his mind, are going to cause a paradigm shift. 1. Looking forward to your review. 2. If Shapiro and Mazur want to "just get on with the science," what's all this babble about attacks on religion? Why are they interested/bothered? 3. When I read people criticizing Dawkins and Coyne for "vitriol," I automatically discount their reliability as reporters somewhat. I've read Dawkins and Coyne, and have found their statements remarkably mild, considering all the fuss that's been raised around them. I would consider "direct" to be much closer to accurate, though even that fails to fully take into account statements like Dawkins' in TGD regarding his long friendly relationship with Anglican clergy. While genome rearrangements are important, I am unaware of any evidence that it does so in any way that could be considered "genetic engineering" or "design". Often as not, these rearrangements are harmful; somewhere between 25% and 50% of fertilized eggs are spontaneously aborted, largely due to chromosomal abnormalities - including the very rearrangements Shapiro seems to be touting as this new paradigm. Just back from an EMBO meeting "Evolution in the time of genomics." Clearer than ever that natural genetic engineering functions, especially mobile elements, are key factors in evolutionary innovation. I hope your review of my book at NCSE does not embarrass an organization with an important mission. In particular, I hope you do not give more justification to the ID crowd and their claim that the evolution establishment is more interested in defending an out-of-date theory than in deepening our understanding of nature. Eager to see what you have to say. You will permit me to be rather skeptical that you will give the book a solid reading based on the tone you have adopted here and on Jerry Coyne's blog. Clearer than ever that natural genetic engineering functions, especially mobile elements, are key factors in evolutionary innovation. I don't think anyone disagrees. We've known for decades that mobile elements are a minor source of mutation and we've known for decades that they are one mechanism of horizontal gene transfer. This knowledge did not lead to a "paradigm shift" or a "conceptual revolution" in evolutionary biology in the 1970s, 1980s, 1990s, or in the first decade of the 21st century. Why in the word do you think it's going to cause a paradigm shift in 2012? ... I hope you do not give more justification to the ID crowd and their claim that the evolution establishment is more interested in defending an out-of-date theory than in deepening our understanding of nature. Not to worry. One of my main points is that there are many problems with the old-fashioned Darwinism of forty years ago and that most modern evolutionary biologists have moved well beyond that out-of-date theory. I make the point that you don't seem to be one of them. You don't even mention random genetic drift, for example, and you do not discuss any of the issues that Stephen Jay Gould raised in the 1970s, 1980s, and 1990s. When you mention punctuated equilibria, you get it wrong. In this sense, you are allies of the IDiots since you are both attacking the same strawman (i.e., out-of-date evolutionary theory). You will permit me to be rather skeptical that you will give the book a solid reading based on the tone you have adopted here and on Jerry Coyne's blog. I gave the book a very solid reading and I did my very best to point out where you went wrong. It was much more of a challenge to figure out why you went wrong. I still don't know the answer to that one. erhaps you can ask James to explain why his "natural genetic engineering" hypothesis could yield "irreducibly complex" biological structures. Or why "natural genetic engineering" can't be explained by Natural Selection. He hasn't addressed these over at his HuffPo blog, so maybe he might here. I agree with a friend who has observed that Suzan Mazur is a "a tabloid writer who dabbles in science that she doesn't understand", and that "people like her are very bad for science education". I don't blame Jerry Coyne for expressing ample hostility toward Mazur since I still recall her "stalking" of Coyne during the 2008 Rockefeller University evolution symposium, confronting him at every opportunity, and demanding from him that he recognize that evolutionary theory is in "crisis". Regrettably, one should question James Shapiro's judgement in agreeing to be interviewed by Mazur. "I would appreciate some sort of retraction or correction with regards to Mazur's 'observation' on your website, especially since her remarks do not indicate that this was a symposium meant to summarize the evidence for biological evolution from a primarily biochemical and molecular biological perspective, as well as an event held to commemorate a year early, both the bicentennial of Darwin's birthday and the 150th anniversary of the original publication of Darwin's 'On the Origin of Species'." "When noted Conservative commentators like John Derbyshire, Charles Krauthammer and George Will have condemned repeatedly efforts by creationists to teach 'scientific creationism' in American public schools, and other conservatives and Republicans, like Timothy Sandefur of the Pacific Legal Foundation, noted skeptic Michael Shermer, Federal Judge John R. Jones (who presided over the 2005 Kitzmiller vs. Dover (PA) Area School District trial) and past and current Presidential candidates Newt Gingrich, Jon Huntsman, and Mitt Romney recognize the scientific validity of biological evolution and have, in several instances, also condemned the teaching of creationism, then it is irresponsible for Mazur as a 'science' journalist to have mocked Coyne's 'trashing creationism'. It is also quite irresponsible for Mazur to accuse the organization I belong to, the National Center for Science Education (NCSE), of 'arranging' Coyne's 'speech'. She is also irresponsible in claiming that NCSE is an 'appendage' of the American Association for the Advancement of Science when, in reality, both are separate, independent, organizations; the former devoted to educating the public on what is sound, acceptable, mainstream science in biology and geology; the latter, one of our nation's premier scientific societies." In Mr. Kwok's list of Conservative luminaries who allegedly support evolution, he includes the racist John Derbyshire, who was just fired by the National Review, not known as a liberal bailiwick, for his racist views. He has since joined the racist VDARE site and posted a statement that included the following excerpt. Leaving aside the intended malice, I actually think "White Supremacist" is not bad semantically. White supremacy, in the sense of a society in which key decisions are made by white Europeans, is one of the better arrangements History has come up with. There have of course been some blots on the record, but I don’t see how it can be denied that net-net, white Europeans have made a better job of running fair and stable societies than has any other group. I really think that defenders of evolution should not include the likes of Mr. Derbyshire in their Pantheon of supporters. I would also point out that George Will, the wife swapper, is a vehement denier of global warming, and a liar about the subject to boot. As for Prof. Shapiro, it appears to me that he is edging into Peter Duesberg/Lynn Margulis territory. "The 'intelligent design' hoax is not merely non-science, nor even merely anti-science; it is anti-civilization. It is an appeal to barbarism, to the sensibilities of those Apaches, made by people who lack the imaginative power to know the horrors of true barbarism. (A thing that cannot be said of Darwin. See Chapter X of Voyage of the Beagle.)" Just for the information of Mr. Kwok, I don't read Counterpunch, the left counterpart to Stormfront. Actually, I wouldn't go as far as Mr. Derbyshire did in his characterization of ID. I would prefer Neil Tyson's characterization of ID as an argument from ignorance. I agree with both Derbyshire and Tyson's assessment of Intelligent Design creationism. Moreover, Derbyshire's observation is one that is echoed by Ken Miller in his "Only A Theory: Evolution and the Battle for America's Soul" in the sense that if we allow ourselves to buy into their deconstructionist relativism arguments (which they took from the Radical Left as Paul R. Gross and Shawn Otto have asserted in their writings) it will be the end of America's preeminence as a major economic power as well as in science and technology. It isn't really science's business to take gods or fairies THAT seriously. Nature is more interesting than debating about religion. Science is not about a making a huge "crusade" against religion. Religion needs to die from sheer lack of interest. Let's discuss nature, not religion. We are scientists, not priests of some kind of "morality of reason". About the science, I disagree right away with Larry's notion of what and what isn't cool in evolution. 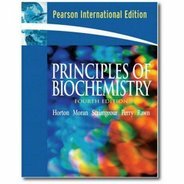 Let's just say that, when it comes to evolutionary biology, Larry is a great biochemist. Not good at all at fossils and developmental biology xD. I agree that Larry Moran doesn't speak for all in evolutionary biology. However, nor does James Shapiro either and it is worrisome that his most ardent fans at the Huffington Posts are creationists, and that he views his "natural genetic engineering" as one that could produce "irreducibly complex" biological structures and functions - a central tenet of Intelligent Design creationism, which has been refuted by many, including Jerry Coyne, Ken Miller and Ian Musgrave. As David Gorski aka Orac, puts it, the Huffington Post on science, especially medicine, is a cesspool of rubbish. The only author over there that I can see worth a damn is Victor Stenger and I wonder how long he is going to last. As for Prof. Moran, he appears to take a strongly anti-adaptionist position on the issue of the mechanism driving evolution which clearly diverges from the position taken by evolutionary biologists like Jerry Coyne and Richard Dawkins. I am in no position to make any value judgements on this issue and will refrain from doing so. 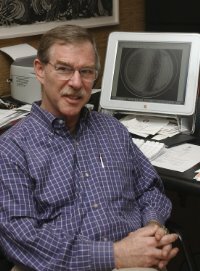 "In pinpointing some of the most obnoxious behavior in defense of Darwinian scenarios, I am reminded of the keynote speaker of the Rockefeller University Evolution symposium — University of Chicago biologist Jerry Coyne — who stood before an audience of distinguished scientists in the spring of 2008 to do damage control, first trashing Creationism and then declaring that he could cite 300 examples of natural selection but didn’t have enough time to do so. The speech was arranged by the National Center for Science Education — an appendage of the American Association for the Advancement of Science. I understand the AAAS has since asked for assistance steering it to scientists who are thinking about self-organization." "Are Coyne and his pal Richard Dawkins, by not publicly recognizing that a sea change has occurred, milking lucrative performances and book deals? And if so, isn’t this a disservice to science?" If I was James Shapiro, I would have ended my phone interview with Mazur immediately, realizing that she isn't as credible a science journalist as Natalie Angier, Cornelia Dean, John Rennie, Andrew Revkin or especially, Carl Zimmer, whom I regard as our foremost science journalist reporting on biology, especially biological evolution. That's why I have to question Shapiro's judgement in agreeing to be interviewed by Suzan Mazur, a hack masquerading as a "journalist". One would have to question Ms. Masur's journalistic capabilities just from her writing posts on Counterpunch, like Stormfront, a cesspool of antisemitism. I heard back from one of her editors, Jeffrey Saint Clair who claimed she is a "fearless and gifted reporter". In reply, I wrote this: "I know what a 'fearless and gifted reporter' is. Pete Hamill is the finest example I can think of, though I strongly disagree with his politics...... Suzan Mazur doesn't even come close." Feel free to e-mail St. Clair at this e-mail address, sitka@comcast.net, and tell him what you think of Mazur's "journalism" and the quality of his "cesspool of antisemitism" masquerading as a credible journal. If I was Shapiro, I wouldn't be bragging that yet another IDiot is a fan of his book. One might think that Prof. Shapiro would be very concerned about the endorsement of his ideas by the IDiots, especially if, as he claims, his ideas have nothing to do with Intelligent Design Creationism. If that's the case, the Idiots aren't getting the message. As I surmised earlier on on this thread, the good professor appears to be approaching Duesberg/Margulis territory. It's rather tragic really, to see a once productive scientist possibly turning into a nutcase in his declining years. I agree, and I heard this from someone else over at FB. Moreover, that person - who shall remain nameless - suggested that Shapiro seems more interested in gaining "fans" and attention, disregarding the sad, but true, fact that his admirers tend to be evolution denialists. Indeed, I would point out that virtually everyone who has criticized him over at HuffPo hasn't been treated with ample deference by him. Instead, he shows courtesy and respect only to his online creationist fans. If I was Shapiro, I would be greatly concernted that my biggest fans include the likes of Dishonesty Institute mendacious intellectual pornographer David Klinghoffer, the repulsive tabloid "science journalist" Suzan Mazur, and IDiot James Barham, who claims to be interested in the "best education" while cloaking his Xian-inspired educational philosophy. Let's not forget that Shapiro published two papers with Richard (von) Sternberg in 2005. Sternberg is a well-known Intelligent Design Creationism icon. Shapiro should know the consequences of publishing with Sternberg. Let's not forget that Shapiro published two papers with Richard (von) Sternberg in 2005. A couple of questions on this issue come to mind. 1. Were the two papers he co-authored with Sternberg sound science or were they rubbish? 2. Was it known as the time (circa 2004-2005) that Sternberg was a crank? It would seem to me that, before applying guilt by association, we should know the answer to these two question. Just for the record, my PhD thesis adviser in elementary particle physics was an old earth creationist who rejected the theory of evolution. We published two papers together. I would not appreciate being associated with his views on evolution just because we were co-authors on two papers in a disparate field of science. The consequences of publishing with Sternberg? Is that a threat? Is that supposed to be cute? Psychoanalysis of your arrogant temperament suggests that deep down you actually doubt your own theory more than you would like others to know. In fact, I'm willing to bet your atheistic/naturalistic loyalty is the primary driver of your threatening tone. Defending population genetics, genetic drift, and punctuated equilibrium as modern developments in evolutionary science is laughable. They are anything but modern. Shapiro danced circles around Coyne who was unable to even grasp the most layman expression of Shapiro's work. Sounds like you are equally inept. Natural genetic engineering demonstrates unequivocally that living systems are self regulating, they respond to perturbations through intelligent adaptation. Yes, I said intelligent. Do your homework before you become the last defender of a dying ideology. "I wrote here recently that -- again, if Shapiro is right -- that leaves intelligent design as the sole explanation of life's origin that seems remotely plausible, a major if implicit concession to the case Stephen Meyer makes in Signature in the Cell." James Shapiro should heed my advice, as well as others, to steer clear of the Discovery Institute. However, he has yet to distance himself from them at his Huffington Post blog. He should have done it a long time ago and should do it now. It shouldn't be too hard to disassociate himself from Klinghoffer who has no scientific credentials to pontificate on evolution, any more then, say string theory. "I hope I made it clear that I do not share the anti-religious bias of many "evolution" advocates in my April 16 post entitled 'What Is the Best Way to Deal With Supernaturalists in Science and Evolution?' (http://www.huffingtonpost.com/james-a-shapiro/evolution-debate_b_1425133.html). As you suggest, placing that bias at the center of arguments on behalf of evolution is a major error." "I have the impression with both Dawkins and Coyne that they care more about their anti-religious crusade than about finding real scientific answers. That may be why the evolution cause has been doing so poorly in the public arena." 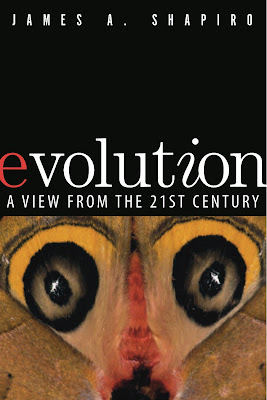 "The upcoming review of my book next month on the NCSE (National Center for Science Education) website is a test as to whether new science is welcomed by the organization that has assumed the role of defending evolution in public. Knowing the reviewer, I am not optimistic. However, I will have a chance to reply." "Just as scientists do not want theology to interfere in research and education, we need to respect the right of believers to be free from assaults in the name of science. It is wrong, and it is deeply anti-American, as defined by the First Ammendment to the Constitution." Feel free to post your comments in rebuttal to Shapiro's breathtaking inanity. 1) The mainstream evolutionary scientists, researchers and teachers are not properly teaching, explaining, and defending it. 2) The evidence is lacking - not credible or conclusive enough. To criticize, condemn and complain about scientists who share differing views of interpretations of the same evidence by calling them IDiots, and attempting to make James Shapiro look like a clown makes me want to take a closer look at what he is actually saying. Irreducible complexity is a possibility, and the rebuttals are simply opinions. Discovery Inst. is full of men who share the same educational background from reputable universities. Are they all wrong when many are evolutionists? Why shouldn't natural selection be questioned? Is science supposed to be dogmatic or open to all queries? Will students be ridiculed if they ask how a 100 million yr old dinosaur could contain soft tissue? Or if they ask about Junk dna being functional? Let's put all evidence on the table and stop the insults. Show some civility... and class. Kristine and this was precisely why I started looking into intelligent design after being a staunch believer in evolution for 42 years , from high school through college and onward. I see much more ridicule and emotion then science , and also seeing that they are so supportive of anti-religious statements made by know dogmatic atheists Richard Dawkins and neil degrassi tyson compels me to believe that it's more a cult worship then science. That and the statements here calling ID'st intelligent design creationists also gives away the motivations of the dogmatists here.